*Deadspin editor's note: One distinguished authority on Revolutionary War battles, Wikipedia, calls Bunker Hill a "British Pyrrhic victory," which is fancy talk for "America totally housed their asses." We stand by the Post's assessment. U-S-A! 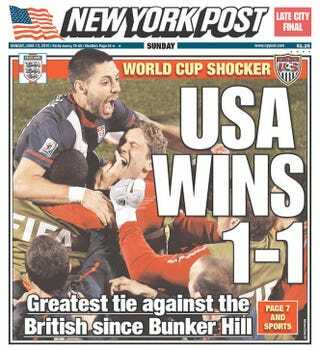 U-S-A!